If you sell goods online to the wholesale market, you’ll know that there’s a whole world of choice out there when it comes to organizing and presenting your store. Some of the decisions are the same for any e-commerce website. There are so many e-commerce plugins to choose from that it can sometimes be a little overwhelming to decide. From ensuring that the site has the functionality you need to picking a system that’s easy to use and won’t sap your time setting it up, there’s a lot to consider. And if you’re running a wholesale store, there are some more decisions you need to make. You may want to prevent the general public from accessing it, for example. Or maybe you need an e-commerce store with one area that’s available to the public, and a separate hidden wholesale area. Perhaps you need a more wholesale-friendly layout for your wholesale area, while keeping the default layouts for your public-facing shop. Without a doubt, it’s generally accepted that setting up a WooCommerce wholesale store is the best solution. WooCommerce first hit the market in 2011. Statistics show that it now powers more online shops than any other platform – and with good reason. It’s intuitive, it looks great for your customers (and, crucially, potential customers). It also has a manageable back-end system designed to save you time. When it comes to running a wholesale store, WooCommerce itself has most of what you need. However, it’s missing some vital features regarding the layout and privacy for wholesale products. In this post, we’ll look at some of the top WooCommerce wholesale plugins designed to fill those gaps and make your store a success. WooCommerce works on top of WordPress, which is the world’s most popular content management system and powers over 30% of the web. If you’re in e-commerce and are running an online wholesale store, this makes life much easier for you. The key to getting your site right is to make sure that you have the correct WooCommerce wholesale plugins to add the features you need. The good news is that the wholesale suite of options is extensive and comprehensive, so you can customize it right down to your exact needs. In this post, we will cover three essential plugins for anybody looking to create a WooCommerce wholesale store. The first and second of these – known as WooCommerce Private Store and WooCommerce Password Protected Categories – allow you to arrange your wholesale area so that only pre-approved clients can access it. They offer a choice of possible solutions depending on how you want to organize your WooCommerce wholesale site. The third plugin is called WooCommerce Product Table, which organizes your wholesale area into a series of flexible tables for showcasing products in a trade-friendly order form. They’re all designed and supported by UK WordPress agency Barn2 Media, whose popular suite of wholesale plugins are used on thousands of stores worldwide. Before you go wild downloading wholesale plugins and getting them installed on your site, you need to cover the basics first. You’ll need to download the free WooCommerce plugin and get it set up on your WordPress website. Once it’s active, you’ll also need to add some products to the system. If you don’t have details of your products arranged or to hand, don’t worry. You can add some placeholder content so that there’s enough there for you to work with. Are you looking to restrict your online customer base just to those who are willing to buy in wholesale, and will every customer who comes to you need access to the same products? Perhaps you find that you’re fielding too many enquiries from individual customers who are confused about the wholesale products on offer, and you want to streamline your site so that these customers are channelled to a particular page. Maybe you operate in a sector – such as grocery importing – where selling to individual consumers is less profitable than wholesaling, and you need to design a store which reflects that. Maybe your business model is to sell wholesale, while letting wholesalers market and distribute your products to a retail market. If any of these applies to you, then WooCommerce Private Store is probably the wholesale plugin for you. It works by completely hiding your entire WooCommerce wholesale store. It hides your main shop page, products, categories, cart and checkout. The only parts of your website that will remain public are normal pages such as the Home and About page, and other types of non-WooCommerce content such as your blog. The power of Google and other search engines is immense. You can rely on WooCommerce Private Store to stop them finding your private wholesale products. But one thing that is important to note about this method is that it will completely prevent search engines from locating your wholesale area and including it in their results. Search engines will continue to index public content such as your homepage, but your wholesale store will remain private. You need to be happy with that before installing this WooCommerce wholesale plugin. With that out of the way, here’s how to get started with this method. Once you’ve got the plugin from this page, you’ll need to navigate to WooCommerce, then Settings, and then Private Store to enter your licence key. Use the settings page to configure your wholesale store login page and hit Save. You can either choose 1 or more password which wholesale users will use to unlock your store, or you can automatically unlock the store when they log into their user account on your website. WooCommerce Private Store is definitely the best wholesale plugin if you only sell to trade customers. If you want to sell different products to different users, or if you need a public area as well as a hidden wholesale area, then the next option might be better for you. This solution is ideal if you operate the sort of store which has both public-facing and private elements. If you work in the cosmetics industry, for example, you may find that some of the more popular self-application products can be sold profitably to the general public, while selling others in bulk to salons and beauty parlours. This method allows you to create categories for your e-commerce store and apply one or more passwords to the wholesale area. Only trade clients who have been given the password can access the hidden content. Your retail shop categories remain public as usual. The first step in this process is to download and install the WooCommerce Password Protected Categories plugin. Once you’ve set up the plugin and inserted your licence key, the next step is to head over to the Products page within your WordPress admin interface and then to Categories. If you haven’t done this already, you then need to create a category for the part of your online store you want to face the public, as well as one for your private store. You can also create any sub-categories for the public and wholesale areas. Head over to the “Visibility” section for the wholesale category. Change the category to “Password protected” and then choose the passwords you plan to give to your wholesale users. Some store owners prefer to create several different passwords and give one to each of their clients. While this isn’t necessary, it’s ideal if you focus heavily on customer service as part of your marketing and outreach efforts because it adds a level of personalization. It’s also more secure because you can add, edit and delete passwords for one wholesale user without having to re-issue the password for all the others. Finally, save the wholesale category and you should be good to go! For your own peace of mind, don’t forget to double-check that the category is private before you launch your private WooCommerce wholesale area. If the products you’re selling are expensive, such as high-end furniture items or electrical goods, you may be concerned that your customers will be looking for a more sophisticated, username-and-password level of security instead of basic password protection. It’s also possible that you need a more efficient way of monitoring and analysing data on who is accessing the site. If one of these scenarios applies to you, then it’s advisable to keep on using the WooCommerce Password Protected Categories plugin, but use it to create private categories in your WordPress content management system instead. Private categories are only available to logged in users with a specific role. You can create a ‘Wholesale’ user role using the free User Role Editor plugin, and edit the role to give it access to private content. When a wholesale user logs in, they can see the hidden wholesale category and its products. When a retail user (who will have the ‘Customer’ user role) logs in, they can only see the retail products. Once you’ve installed the plugin and activated your licence key, go to the Product Categories page in WordPress. Create categories for the shop areas that you want to be openly accessible. Then create another category for the area you want to keep private. Add any sub-categories as needed. It’s important to pay close attention to how you set up these categories. You need to go over to the section marked “Visibility” and mark the wholesale category as “Private”. The next stage in this process is to fill the categories with products. 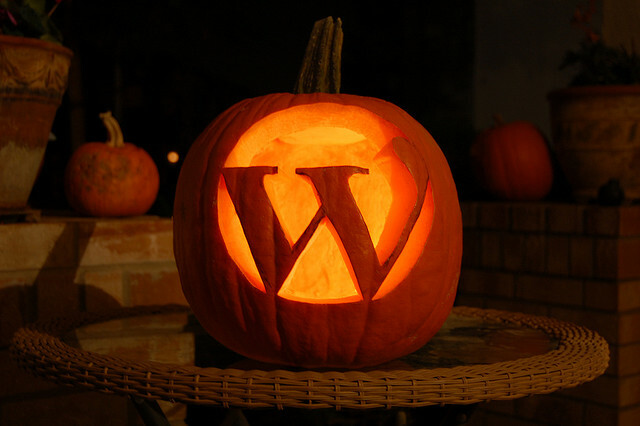 Luckily, the intuitive and user-friendly nature of both WooCommerce and WordPress makes this simple. The aim here is to associate your wholesale products with the private area rather than the public one. It’s important to get it right. All you need to do is hover your cursor over each of the products in question and hit “Quick Edit”. This will allow you to choose the right category. You’ll need to complete a couple more steps to get your private WooCommerce wholesale area up and running. The final step is to add the area to the navigation system on your site. The most user-friendly way to do this is to keep everything separate rather than mixing public and private goods. Add a link to your private wholesale category to the main navigation menu. The wholesale plugin will hide this link from retail users and guests, while keeping it visible for wholesale users. Just like magic! Finally, you need to make sure that you create user accounts for each of your customers. Otherwise, your clients won’t be able to log in, and all of that hard work will have been for nothing. When it comes to making your WooCommerce store appeal to wholesale trade customers, privacy is not the only issue. What’s also crucial is ensuring that your layout is just right. For this, you need a plugin designed to help you make a beautiful WooCommerce wholesale order form. A lot of people assume that it’s ok to provide the same product layout for both retail and wholesale customers. To understand why this isn’t a good idea, try putting yourself in the shoes of two types of potential consumer. Let’s say you’re a non-wholesale customer, browsing through the site to find something to buy. The design features that will convert you from a browser into a customer are large photographs and appealing sales copy. Think Amazon or another similar store. If you’re a wholesale or trade customer, however, you’ll be approaching the store from an entirely different angle. You don’t want to browse through a gallery of appealing images (such as ones featuring models demonstrating the product). Instead, you simply want to know the product specifications and find products that match your own fixed requirements. As a wholesale customer, you don’t need to be persuaded. You simply need to be informed about where to find what your business requires. That’s best provided through a table or WooCommerce order form layout, rather than a gallery-focused arrangement. One way to get this trade-friendly appearance is through the WooCommerce Product Table plugin. Once you’ve got this, you can activate it and then go into your plugin settings page. After you’ve inserted your licence key, it’s time to pick the default settings for your wholesale order forms. These include the column headings and number of rows per page. You can also set search filters, choose how variations will work in the order form, and more. After all of that is done, your wholesale products will begin to appear in a streamlined, trade-friendly table format. Spend time time experimenting with the 50+ options that come with this WooCommerce wholesale plugin. That’s the best way to get your wholesale layouts exactly how you want them. A successful WooCommerce wholesale store must combine a trade-friendly layout with suitable privacy and protection options. Think about the needs of your own wholesale store, and we hope you can find the right plugins to make your store a big success.